Product information "Cheope T table light"
This timeless table light from the Cheope line with its Italian design by Ufficio Stile is a definite eye-catcher. 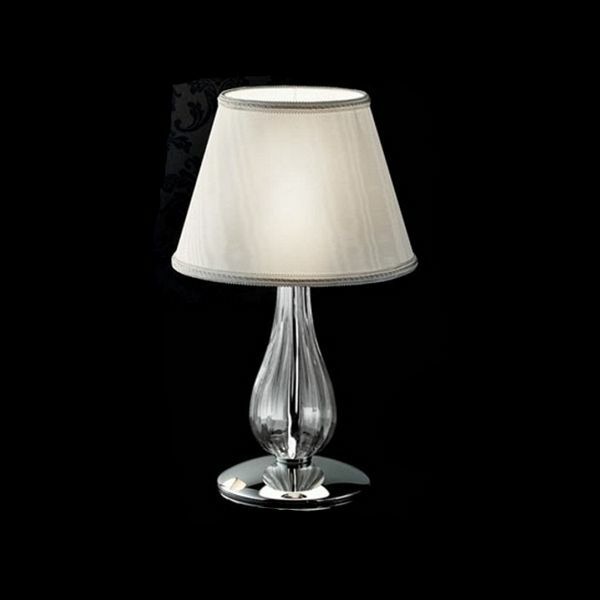 Its classic shape includes a tasteful metal base supporting a glass stem and a diffuser made from moiré. This Gallery vetri d'arte table light radiates warm and nonglaring light that creates a comfortable mood. Metal base and glass stem can be ordered in a variety of color combinations. Dimensions in inch (WxHxD): Ø 9 7/8" x 16 1/2"
Related links to "Cheope T table light"